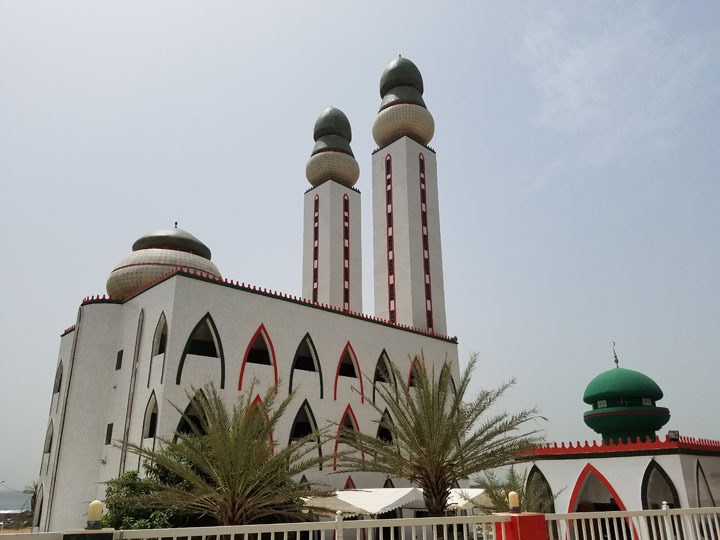 The Mosque of Divinity is a beautiful structure located in Dakar, Senegal. Its members personally built it, entirely on a volunteer work. No money was paid to anybody involved in constructing it. All work was done by hand, without the help of cranes or other construction equipment. The project took 5 1/2 years to complete, from Spring of 1992 to October of 1997. 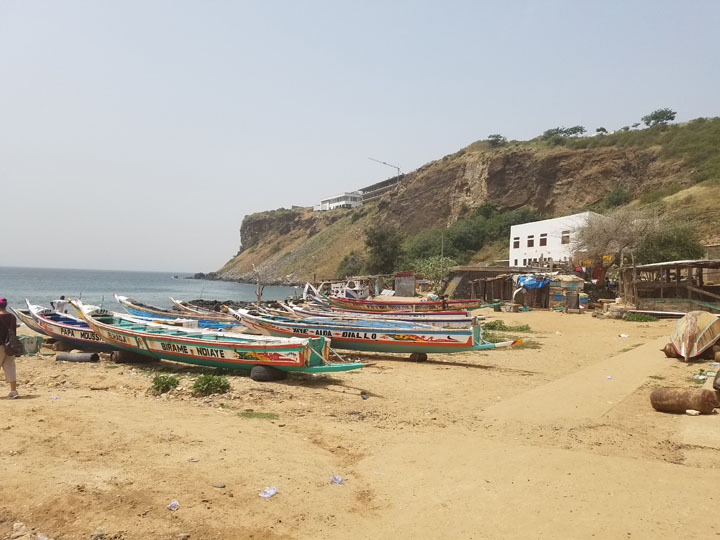 We visited it because Tidiane Gueye, our local contact for our stay in Senegal, was a member of the mosque and wanted to share this part of his life with us. It was a landmark near our hotel, which we drove past every day, and it was great to learn something of the history, as well as feel the personal connection to it. The day I visited this mosque, October 7, the congregation was gearing up to celebrate the 20th anniversary of completing construction. 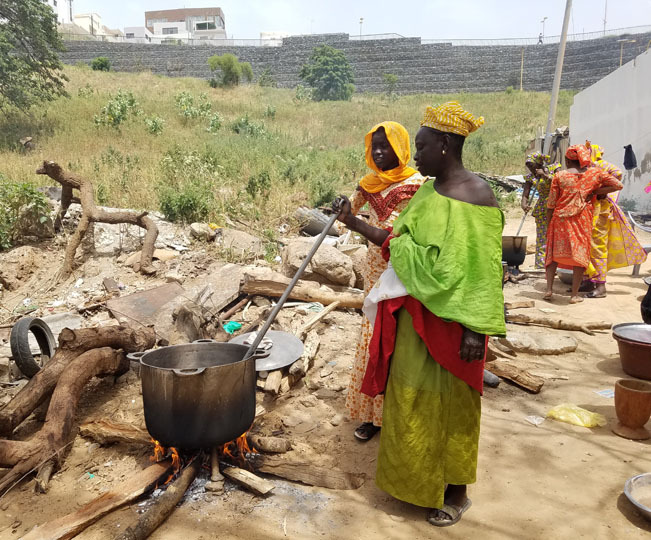 The women had set up a fire with a cooking kettle to cook the meal they intended to serve for the celebration. Behind the Mosque of Divinity is a beach that lies on the Atlantic Ocean. There are fishing boats parked along this beach, that people take out on the water to fish. Fishing boats along the beach behind the Mosque of Divinity. 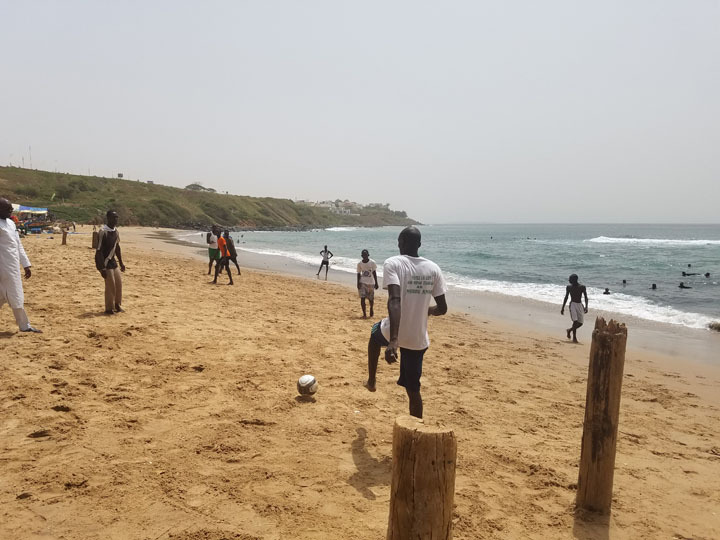 This beach is also a place where young people enjoy playing football (soccer). Playing soccer on the beach. I felt so inspired, visiting the Mosque of Divinity, because it clearly was a place created from the love that the members of the community feel for not only their faith, but also their relationship with each other.